Elizabeth Ailes, the owner and publisher of the Putnam County News & Recorder and the Putnam County Courier, announced that she has sold both historic newspapers of record. The sale, to editor-in-chief and associate publisher Douglas Cunningham,… Please login below or purchase a subscription to the Putnam County Courier to access this content. Putnam’s world champion dancer, Jillian McNamara, a junior at Brewster High School, is only 16 years old. Jillian McNamara has quite a future! The 16 year old Brewster High School junior returned from Germany last week as a world champion after… Please login below or purchase a subscription to the Putnam County Courier to access this content. The smiles say it all. 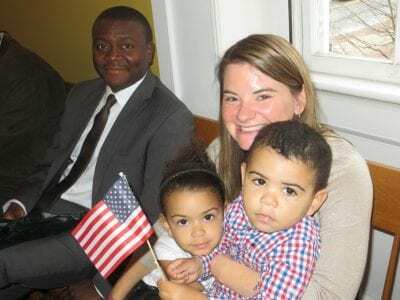 Kenny Sibajene, a native from Zambia, became a citizen last week to the delight of his wife, Sarah and the couple’s two children–Emma and Shane. The family resides in Carmel. I t’s been quite a year for 197 of… Please login below or purchase a subscription to the Putnam County Courier to access this content. Recent research findings regarding the effect of school start time on adolescent academic achievement and mental health has compelled the Putnam Valley School District to consider pushing back the opening bell at Putnam Valley High School. Superinte… Please login below or purchase a subscription to the Putnam County Courier to access this content. Chanukah or the Festival of Lights will be celebrated countywide this year thanks to Chabad of Putnam County. Three menorah lightings, one in Cold Spring, are planned for the final week of the month. On Monday, Dec. 26, a community Menorah ceremony … Please login below or purchase a subscription to the Putnam County Courier to access this content. The Lake Carmel Christmas tree lighting was a huge success. The holidays have arrived in Lake Carmel thanks in part to the effort of the Lake Carmel Park District. 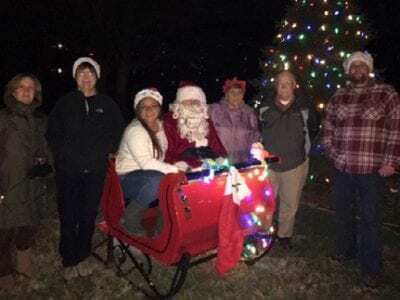 With the assistance of the Kent Police Department, Santa arrived over the weekend in a… Please login below or purchase a subscription to the Putnam County Courier to access this content. Carols performed by the Putnam Chorale greeted guests Saturday evening at the historic Walter Brewster House as the Landmarks Preservation Society greeted dozens of guests for an old fashioned holiday party. The magnificent building on Oak Street wa… Please login below or purchase a subscription to the Putnam County Courier to access this content. Editor’s Note: We don’t typically print letters from people outside the county, but the writer’s point is a great reminder. He volunteers at Putnam’s animal shelter in Carmel. 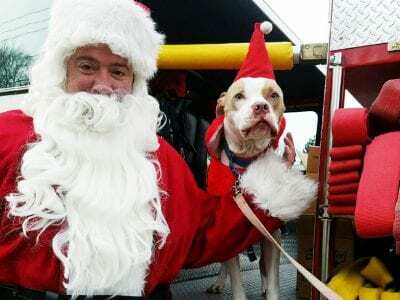 If a Puppy Is the Gift, Consider the Shelter! To … Please login below or purchase a subscription to the Putnam County Courier to access this content. The Class of 2016 takes a bow. 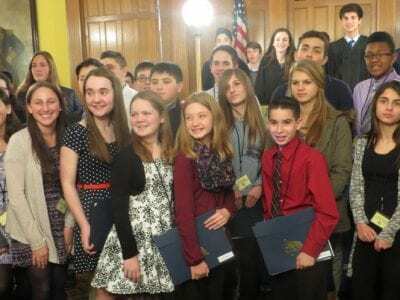 The historic Putnam County Courthouse was filled to the rafters when 32 young people from throughout the region took their oaths of office and became the 29th anniversary graduates of Putnam County Youth Court. Last Wed… Please login below or purchase a subscription to the Putnam County Courier to access this content.